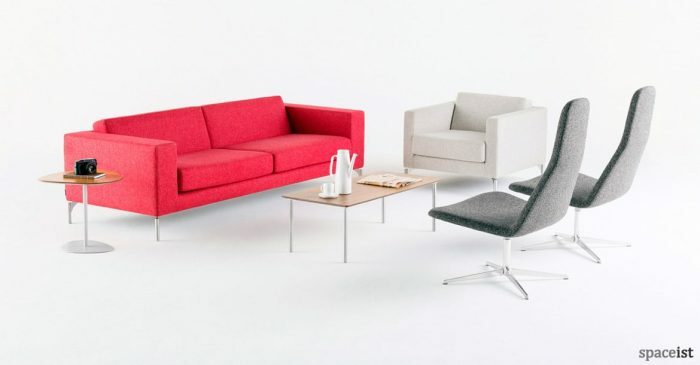 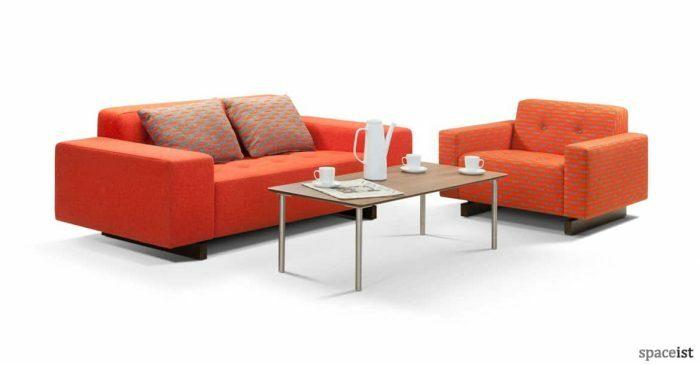 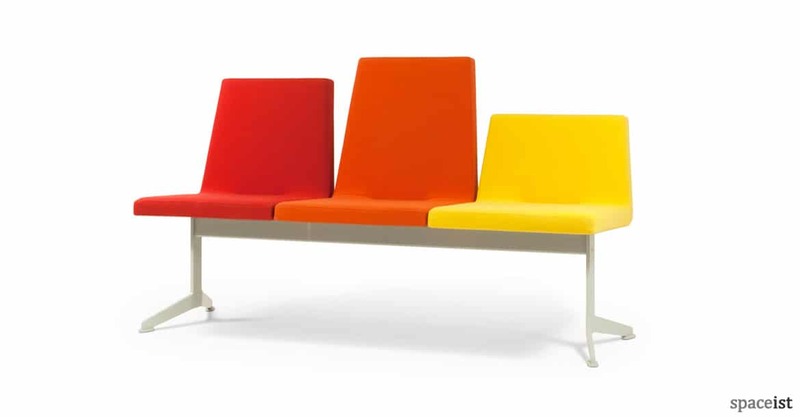 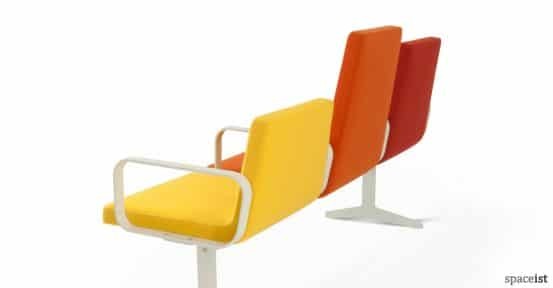 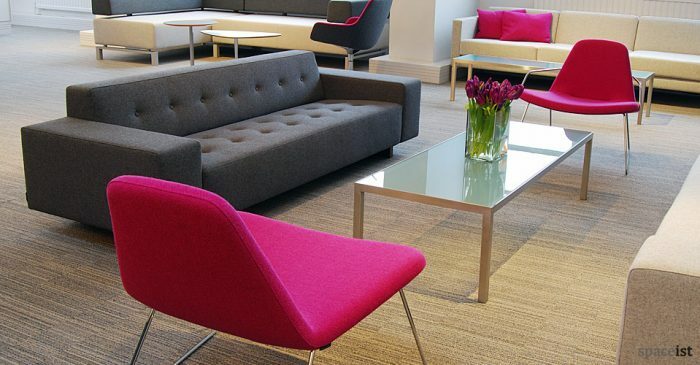 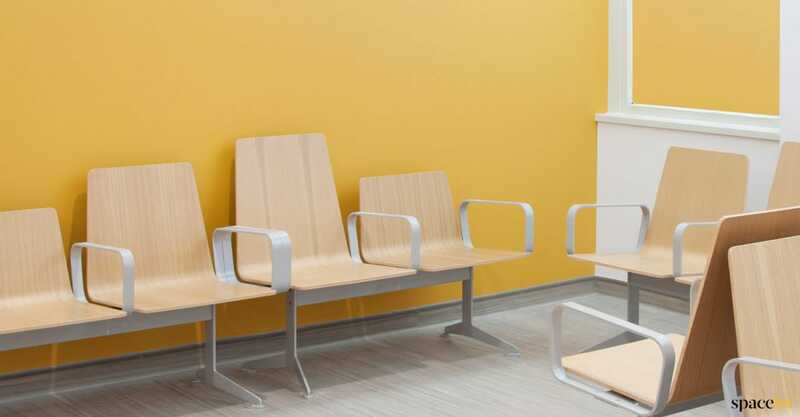 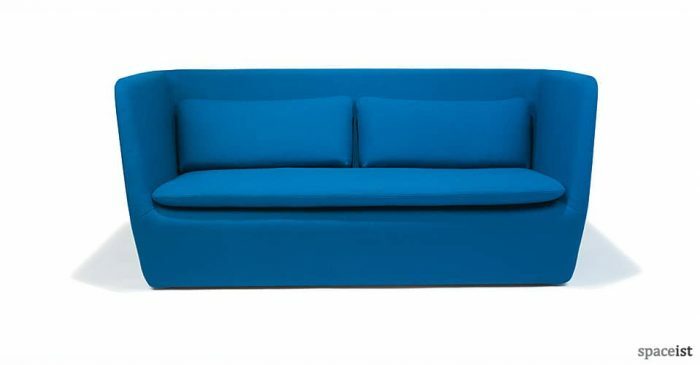 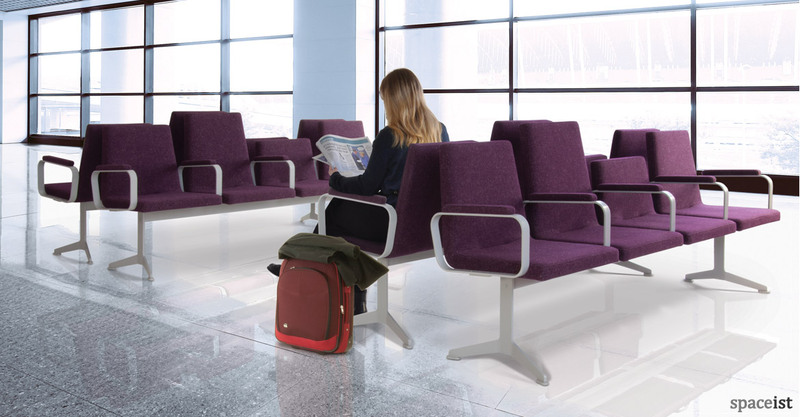 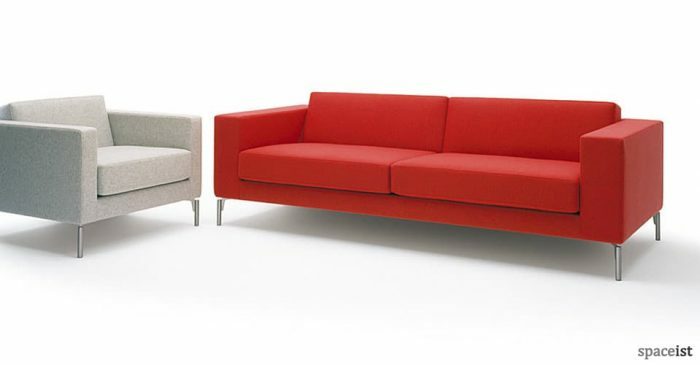 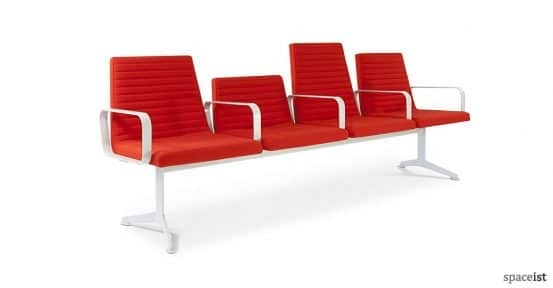 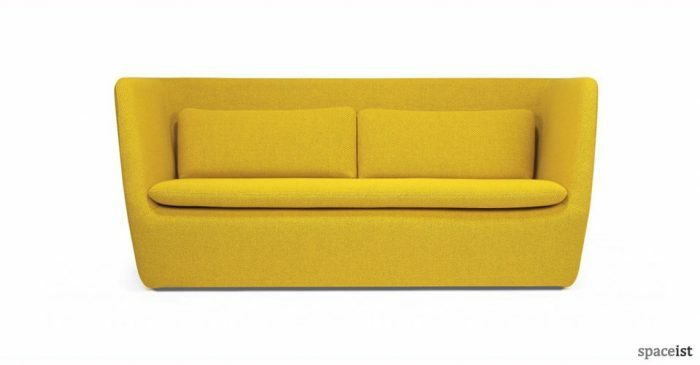 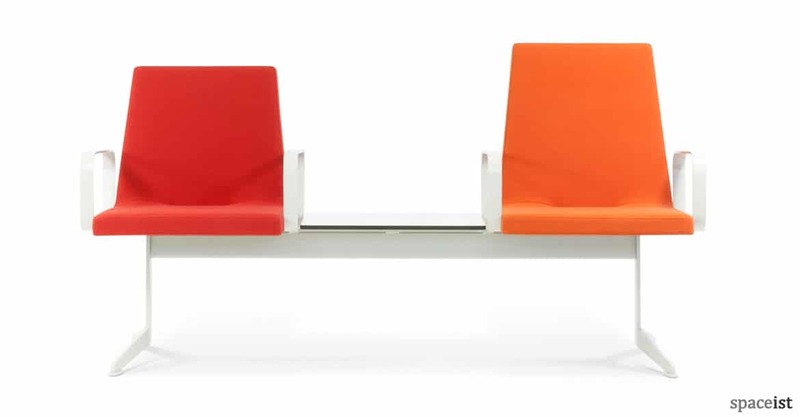 Reception bean seating with high and low backed seats to create a stylish seating system. 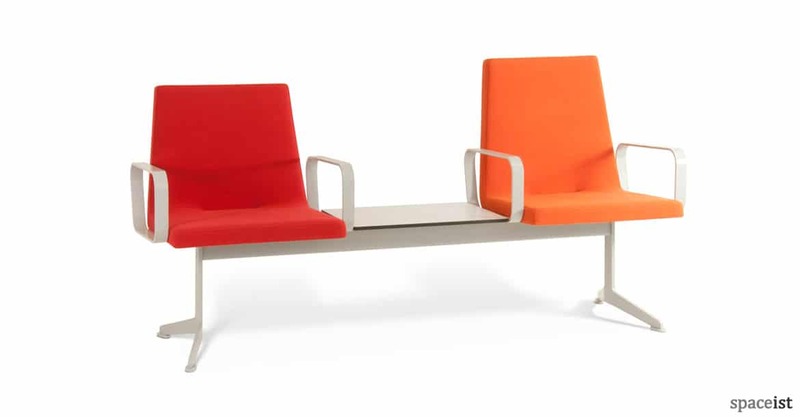 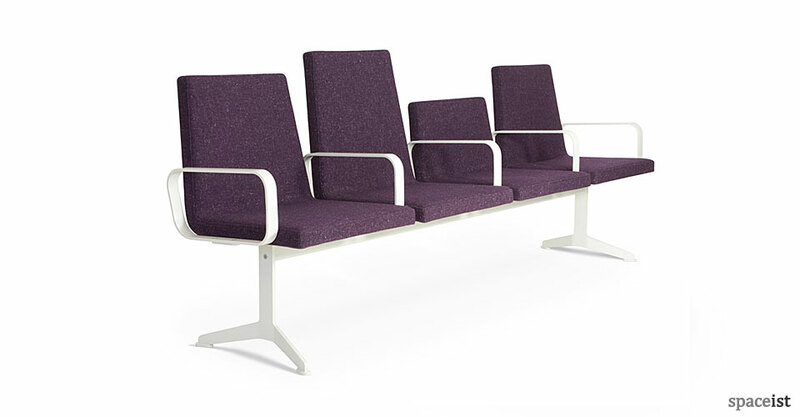 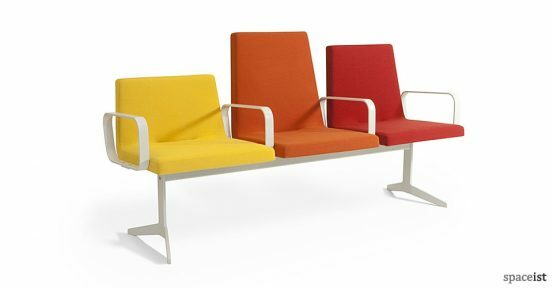 Seats can be upholstered in over 100 different colours and the steel frame is finished in pale grey. 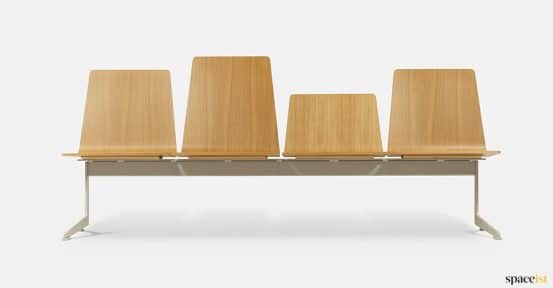 Side table can also be added instead of a seat.